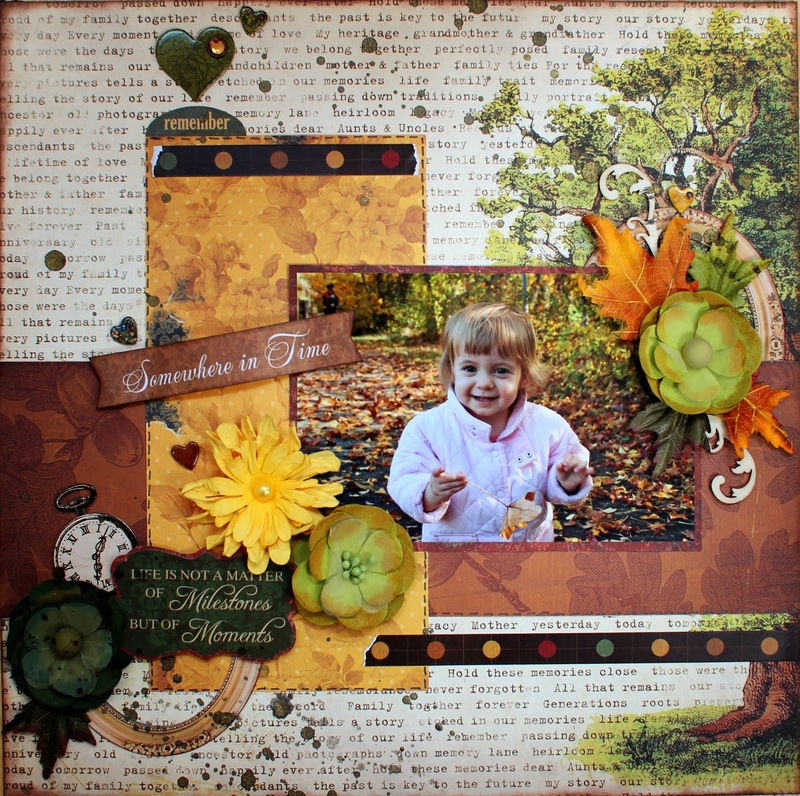 The new "Heritage" collection from BoBunny has really great fall colors and images, so I used it to scrap this "vintage" pic of Morgan when she was just a toddler. She's almost 11 now, so it's been a while. I just love this sweet picture of her. I also used some BoBunny blossoms for the flowers. The flourishes are BoBunny laser cut chipboard. Beautiful layout, such a sweet photo!